First, a word about our Christmas Carol Contest. With four days left to go, Magnificat leads with 27 views the day it was posted. Days of Elijah has 28, but it’s hard for me to stretch that into a Christmas carol. Due to circumstances beyond our control, Patty and I will be here Christmas Day, no Garden State Parkway this year, and I hope some of you drop in, in a manner of speaking: we appreciate your company. 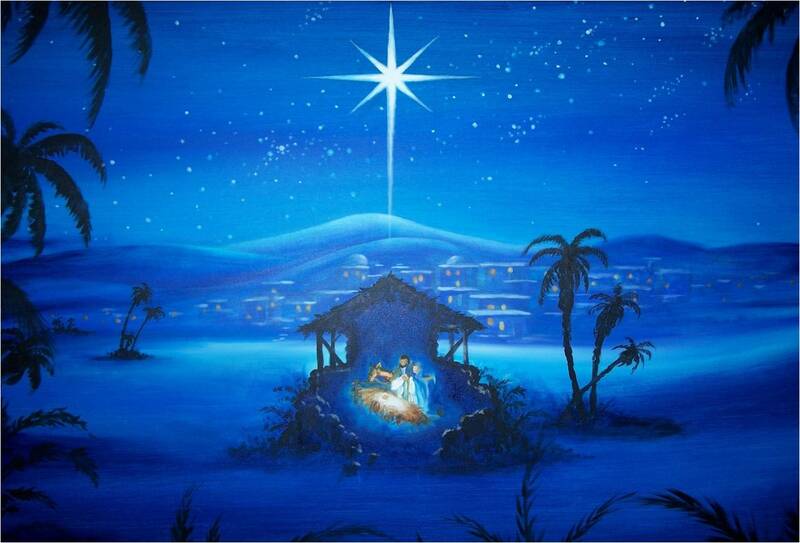 Between you and me, I think this poor fallen world needs this Christmas as badly as it’s ever needed any Christmas. Pray God the Father endows this Christmas of 2018 with great power to draw our hearts to Jesus Christ, our rightful Lord and only Savior. In Jesus’ name, Amen. This entry was posted on Saturday, December 22nd, 2018 at 10:38 am	and tagged with a message to my readers, a personal note, Christmas 2018, Christmas carol contest, prayer requests and posted in Uncategorized. You can follow any responses to this entry through the RSS 2.0 feed. Amen. It’s very kind of you to invite us to drop in…to your blog on Christmas day. Hope you are well. MERRY CHRISTMAS! It’s easier than driving all the way out here to show up at my door. Merry Christmas, Marlene–see you then. Especially without a car – lol. Got a picture for that? See you then. I’d love to post a picture of our tree, but I don’t have the technology or the know-how. When the rest of the Lee Duigon fans come back from Christmas shopping maybe one of them can help. Unknowable seems to know an awful lot about a lot of things. I love looking at people’s trees and take long walks through the city peeking at trees in the windows. If anyone looks at me suspiciously i’ll just start singing a Christmas carol as i hurry off. Hasn’t happened yet. Patty says she thinks she knows how to do that–so we shall see. It we can do it, we will. I’m impressed, but not surprised. You kids are lucky to have each other. Sorry to hear your Christmas plans has changed. I like to request “”The Rocking Carol” as I don’t think I have heard of it before. I haven’t, either. Let’s see if I can find it. Just so you know–anything that approaches the caliber of “Santa Baby” is not gonna fly here. “Santa Baby” LOL. YEah that kind of quality shouldn’t fly…lol. I’ll only play it if the leftids try to ban it. Oh, what a gavone I am! Actually, this carol is just beautiful and I thank you for requesting it. I’m afraid the title made me expect something altogether different. Ah, I should’ve trusted you! Thanks! I haven’t been able to promote much of my requests on here but I think I can squeeze this one in after I listen to it!